At Beer O'Clock Australia headquarters the badges (and the beer) are flowing at the moment. And for once it seems like I'm almost keeping up with reviewing! Tonight's badge earning beer was Deschutes Hop in the Dark. 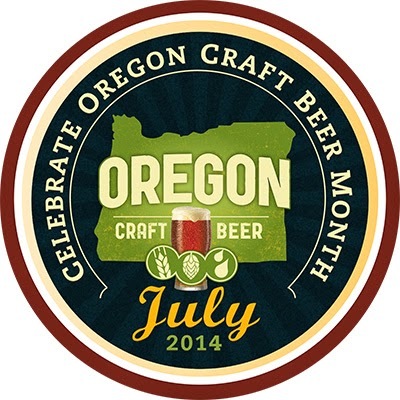 This is my second Oregon Craft Beer Month badge, after the one I got last year in Amsterdam of all places. This year you needed to sample 4 different beers from breweries in Oregon, which is simple enough here with Rogue and Deschutes widely distributed. You've still got time to get it as well - you've got til the end of July! 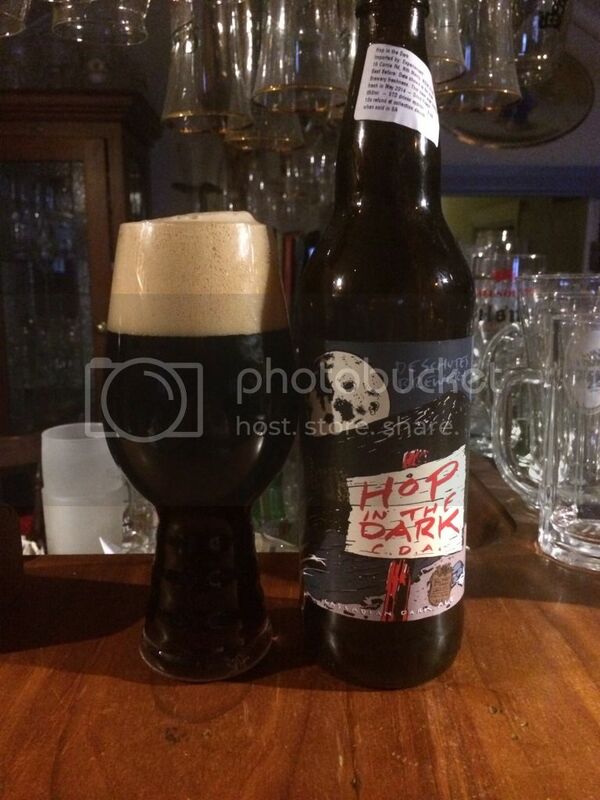 Hop in the Dark poured a beautiful black colour with a luscious looking cream coloured head. The head is 3 fingers high and has amazing retention! I reckon at least a finger and a half of head was left when I finished drinking it. The beer just looks sensational! There really are very few words to describe how good this Black IPA looks. By far the most balanced Black IPA I've ever had! The hops are bitingly bitter at times but the thick roasty malts manage to not only balance the hops but enhance their effectiveness (does that make any sense?) Anyway - English struggles aside - the mouthfeel is beautifully lush and the flavour is perfect! Do Deschutes make a bad beer? (With the exception of Mirror Pond which I'm not a fan of) This Black IPA is just stunning and a worthy recipient of a review on mine, or any other, beer blog! In truth Hop in the Dark deserved a much better review than this one I've offered up today. In short though if you love Black IPA's seek this one out! Trust me it's stunning!